Our 2017 Pinot Grigio hails from a classic growing season. Careful canopy management, early picking and selection from cooler micro climates has given us a wine with very low alcohol % and one that is lively and chiseled. 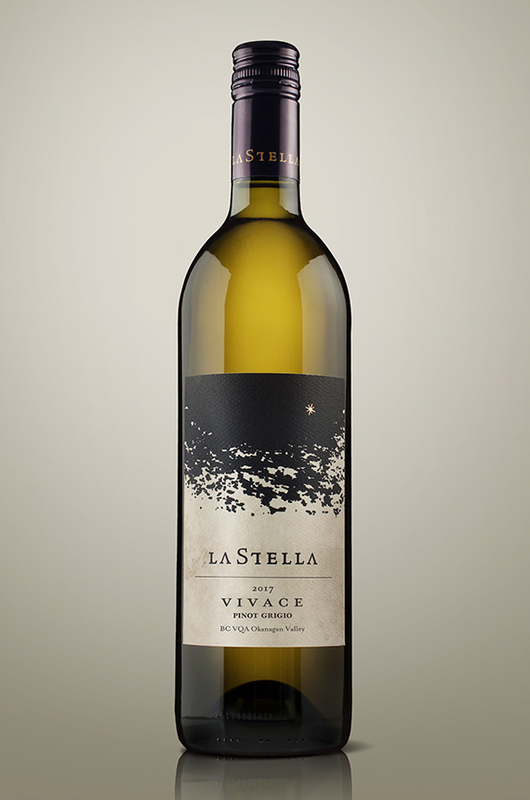 Vivace greets you on the nose with a very expressive note of bergamot rind, desert vegetation (sage) and lime juice. The palate is packed with fruit a melange of citrus fruit before it finishes with tart apple and zest notes. The long finish carries on way beyond what many come to expect from this humble but noble grape variety. Vivace is grigio on steroids.